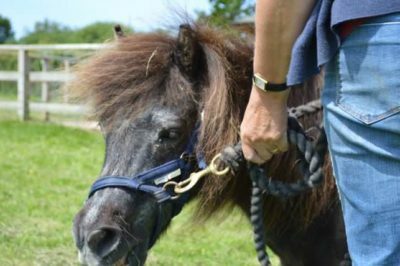 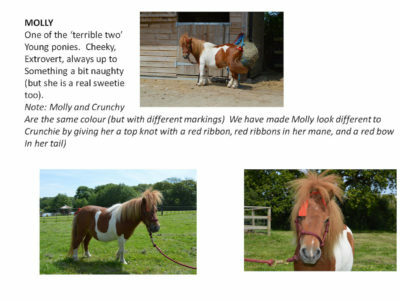 Happy Ponies | Mair Perkins Ltd. 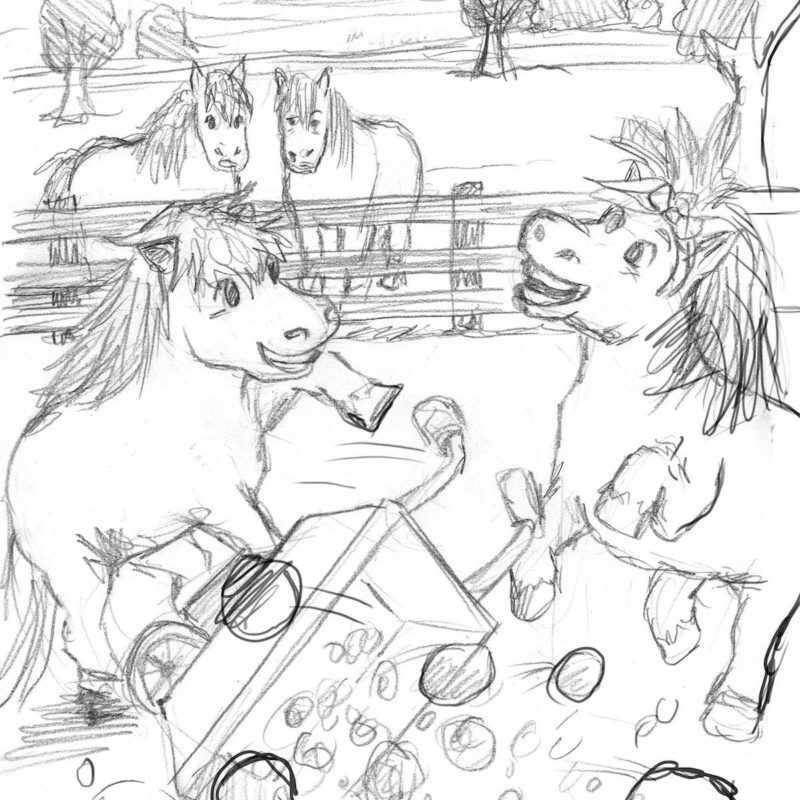 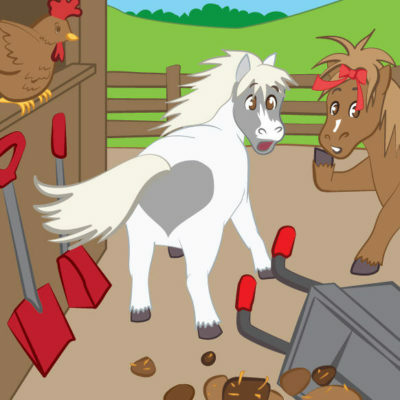 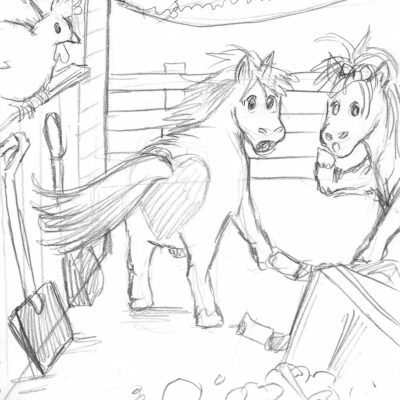 Happy Ponies are a series of books inspired by the adventures of 10 real ponies in a pony sanctuary on the Isle of Man. 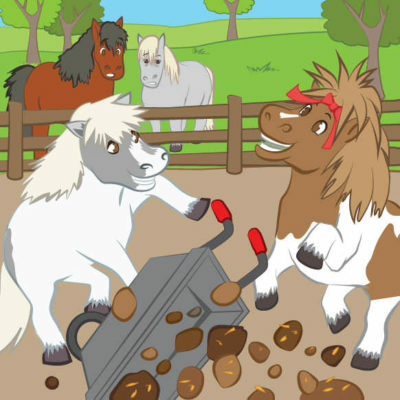 The stories are written by Gail Yardley in partnership with Nicola Murgatroyd. 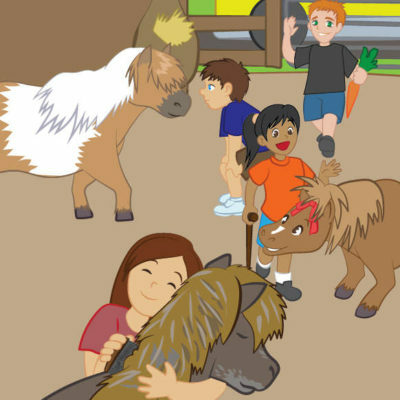 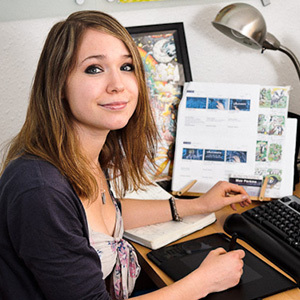 I illustrated these books by sketching the pages in pencil then inking and colouring them in Adobe Illustrator with a Wacom Cintiq. 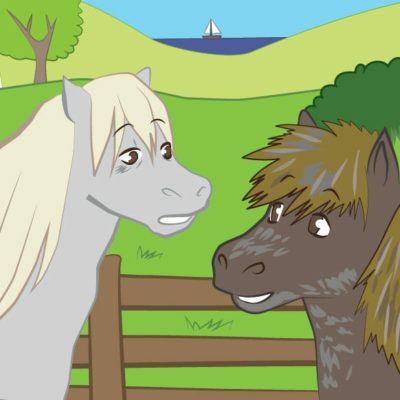 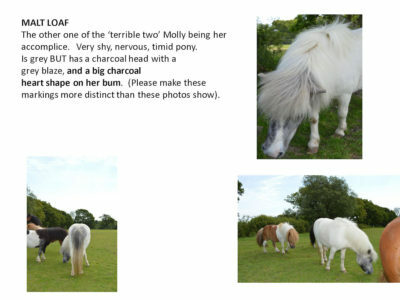 The real ponies on the Isle of Man that the book characters are based on.